The software is suitable for engineers and other professionals that have to perform a lot of repetitive calculations and include them into official documentation such as calculation notes. It can also help teachers to prepare examples, papers, manuals, books etc. The program can be useful also for students for solving problems and do homeworks, theses etc. support for plain text (*.txt, *.cpd) and binary (*.cpdz) file formats. The software automatically parses the input, substitutes the variables, calculates the expressions and displays the results. All output is sent to a professional looking Html report for viewing and printing. 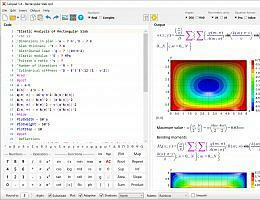 * CalcPad download link provides freeware version of the software. 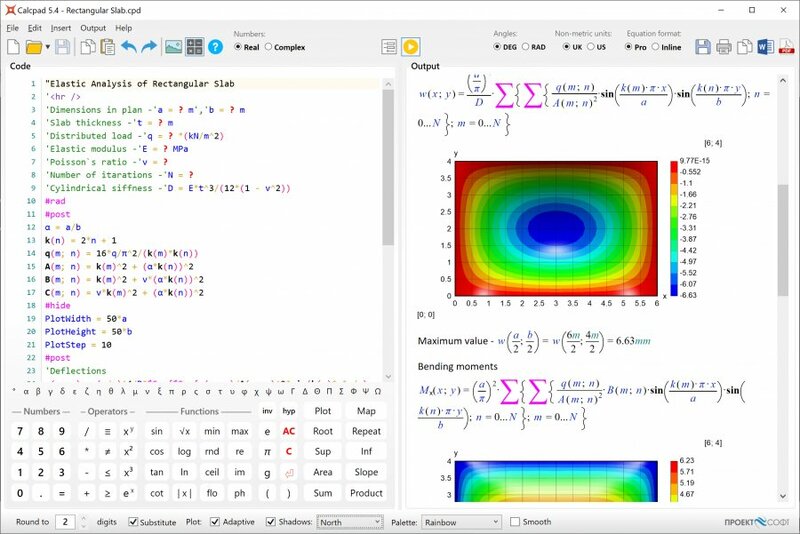 CalcPad has been rated 4.2 out of 5 points. A total of 5 votes cast and 0 users reviewed the software.